Avoid the pitfall of 'copy cat learning' in poker, explains @StarsSchool's Pete "Carroters" Clarke. Don't copy strong poker players' plays blindly without understanding why they are making them. Poker players work to improve their games and strategic knowledge via a variety of methods, including reading strategy books and articles, watching videos and live streams, participating in forums, and discussing hands and situations with poker-playing peers. In his latest "Poker Pitfalls" video for PokerStars School, poker pro and coach Pete "Carroters" Clarke discusses a common problem among students of the game, something he calls "Copy Cat Learning." As Clarke explains in the video below, "copy cat learning" refers to a player blindly accepting and trying to emulate the play of other, stronger players, instructors, friends, or famous poker pros without studying or thinking through the reasoning that informs the decisions those players are making. "Copy cat learning is a lazy kind of learning," Clarke explains, "It's not something you do intentionally, but it's something your brain does when it's tired and not paying attention — it just copies stuff without actually thinking about why." While it's good to study how stronger players play and the decisions they make, don't fall into the bad habit of indiscriminately copying certain plays without taking the time also to examine the reasons why those plays are good ones. 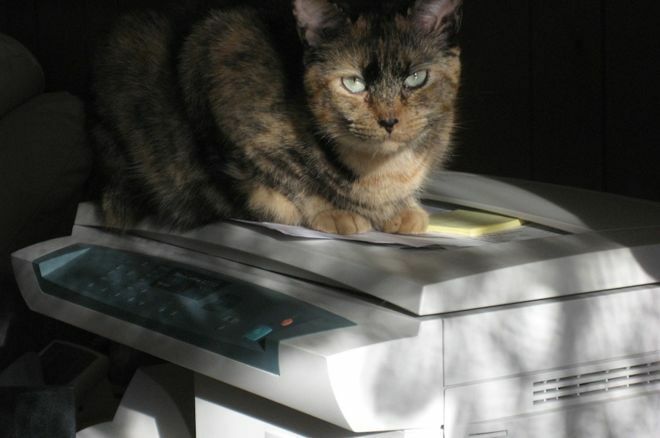 Photo: "copycat" (adapted), Mighty Free, CC BY-SA 2.0.